My Mother died in May and so have been back in the UK taking care of affairs. My job has also moved back to the UK so I am no longer able to work on SprayMaker . The plan is to keep the house until we can return and then resume the project. In the shorter term I have purchased a 21ft Junk rigged Coromandell in the UK which I am going to convert for single handed sailing and use for some personal voyages of adventure. 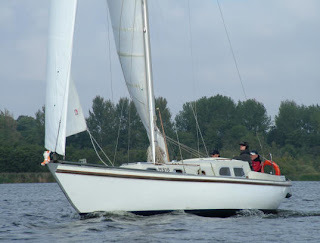 The first of these is planned for June 2012 where I am planning a 600 mile trip into the bay of Biscay. I will be starting a new blog to cover the conversion and the trip. Will put the link here when available. Now all that has to be done is to cut the holes in the deck to allow the bottom oth the frame to pass through, weld in position, drill matching holes for the hatch and mount in place. Thats the second one made so just one more to go. When I have this job done then next its the construction of the guardrails, pushpit and pulpit. This week Simon and me managed to cut the front portholes! We have welded in the steel inserts ready for mounting the bronze fittings but I think it will be a while before we are ready for the finishing touches, here are some videos of the cutting operation. Tomorow we will be working on the aft cabin portholes and the escape hatches. 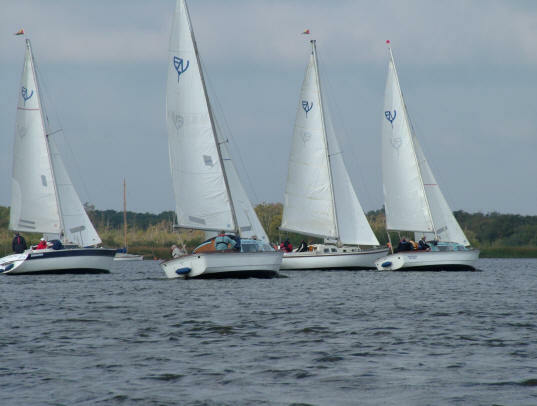 Every year in October I stop work, down tools and travel to Norfolk for the annual Barton sailing Regatta. 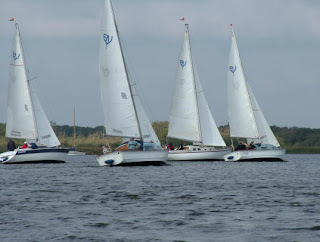 It is a unique sailing holiday where a few brave hire companies hire their yachts to a group of mad would be olympic sailers! I have been going since 1992 and just love both the racing and the singing in the bars afterwards. The picture on the left shows our main racing tool TIGGER who frightens the opposition and keeps the wind in our sails! ﻿ Here we are aproaching a windward mark, this is our first year in the B fleet as I have always sailed in the A with the gaffers but the sailers of these bermudan rigged boats are as keen as mustard! ﻿﻿﻿﻿﻿﻿﻿﻿﻿﻿﻿﻿﻿ This year luck was on our side and we took the silverware. It was a great team effort and I am proud to say that my son is hiring his own boat next year and sailing against me! ﻿﻿﻿﻿Tigger says goodbye to The Norfolk Broads for another year, he will be back! ﻿﻿﻿﻿﻿﻿﻿With temperatures well into the high 30s work has been confined to Saturday and Sunday Mornings, I also had to do some work around the house but the last month has seen some good steps forward, The welding of the hull is now complete and all the welds have been tested (we used paraffin to check the welds as it will find the smallest crack or hole and use capillary action to find its way through, Any where we found signs of the paraffin outside we ground out and re-welded, the worst places were near the keel where it was impossible to weld inside the boat. So the Hull is now ready for the next stage and we are still hoping to keep to the original schedule mentioned in the last blog of November. ﻿﻿﻿﻿ As you can see from the pictures the engine room hatch has been constructed and we have cut the hatches for the walkthru from the front to rear Cabin. The last couple of weeks have been testing for my credit card as I purchased 30ltrs of primer (Hempadure 2 pot) along with filler and thinners, I also took delivery of a small sandblaster, and a 10bar compressor to prepare the hull prior to priming. The best purchase has to be these wonderfull Bronze portholes from Trinity Marine, I cant wait to weld them in place. On the floor behind me you can see the rudder which is now under construction, I am just waiting for the stainless steel stock and will be making most of the other fittings. At last the welding of the hull is complete bar a few tidy up jobs! in the engine room and on the bow, just a couple of days work at most. As I am not a coded welder I have gone for a belt and braces approach and double welded the complete hull inside and out. I used a mig welder inside and an invertor externaly to mitigate wind problems. 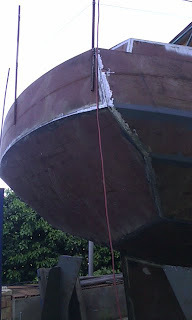 The welding started at the center keel of the boat and worked forward aft and up in a spiders web approach. As far as I can tell the hull is fair and the measurments taken confirm no distortion. I dont think I will have too many free weekends with a heavy work load but will blog again as soon as i can with further updates.